topics such as Group Replication/InnoDB Cluster. 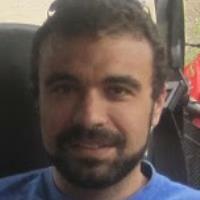 Tiago is a Senior Software Developer at Oracle and Technical Lead for Group Communication System in Group Replication. More than just being a developer, I have aimed to be a Software Architect during my software-industry career. I am someone that is keen to learn new ways of doing things and provide the best solution regardless of the used technologies, making use of the best practices in the market for software development. I also like a good challenge and I am not afraid of starting over in a completely new area, as my past experiences say. I've started in Network Security, passed to Telecom area, transportations and now I embrace developing in one of the biggest software companies in the world in the world's most used Open Source database- MySQL.